For these graphics I used Illustrator and Photoshop tools and chose typefaces to suit the assignments. 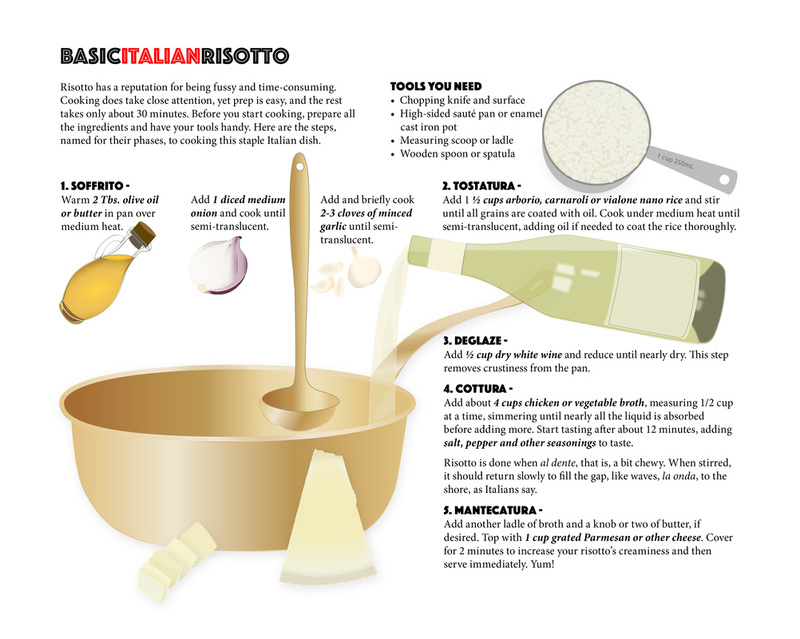 I chose Illustrator's Pen Tool to draw and color all the food and kitchen implements for the risotto recipe in my Organizational Graphic. 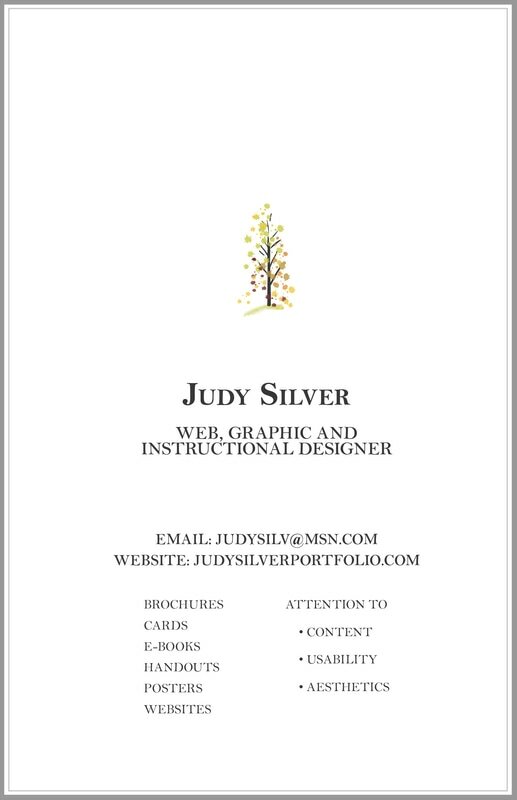 On the personal Cards, I used the Paint Tool to form the tree and, in Illustrator's Typography Workspace, overlapped the "A" and "S" in my initials. 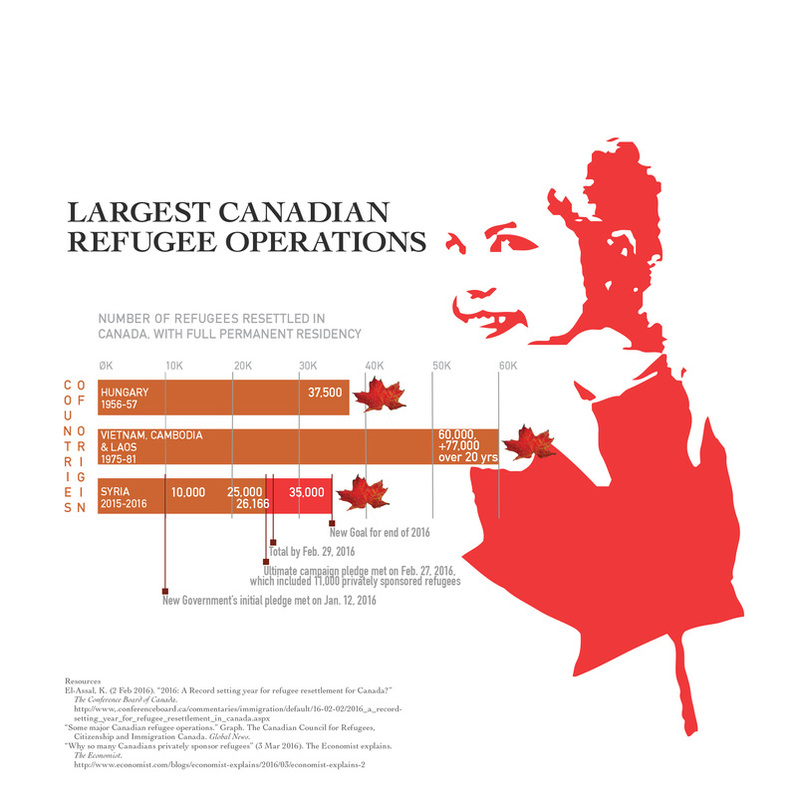 The Black and White Logo feature on Image Trace, altered to red, simplified a cute refugee child wearing the Canadian flag from a found photograph. Then link below to 'Adobe Muse' for my website of children's historical movable and pop-up books from a university library. I designed all the above graphics and their Illustrator images, yet did not take the original photograph of the refugee child from which I derived her final graphic.